Martin and his collection are featured in Doug Nichol’s full length documentary ‘California Typewriter’ which had its premiere at the 2016 Telluride Film Festival. The film explores the role of the typewriter in today’s popular culture, the creative relationships which people have with them and how the past is never far away. The film includes some well-known people who continue to use and admire manual typewriters. Among them are Sam Shepard, John Mayer, David McCullough, and Tom Hanks. The Props Master working on Guillermo del Toro’s film Crimson Peak, needed a portable typewriter from 1910 that would be a gift to the lead actress, an author, from her husband. The typewriter that they used from my collection was the Standard Folding 1. An intriguing little machine with a carriage that folds over onto the keyboard, allowing it to fit into a very small box. 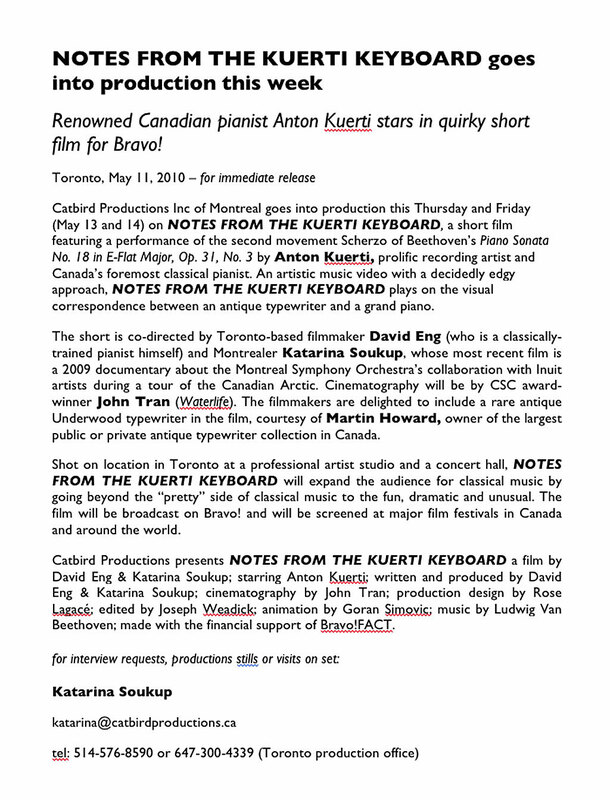 ‘Notes From The Kuerti Keyboard’ plays on the visual correspondence between an antique typewriter and a grand piano and the pun of Kuerti and the QWERTY keyboard, all during a performance of a Scherzo, from a Beethoven Piano Sonata. The typewriter used is an Underwood 1 – 1896, from the Martin Howard Collection.